The Contra Costa Public Health Laboratory is a California State and Federally certified facility that provides high complexity testing services in the areas of bacteriology, parasitology , mycobacteriology, mycology, immunology, and virology. Microbiological examinations of food and water are also provided in support of Environmental Health Programs. 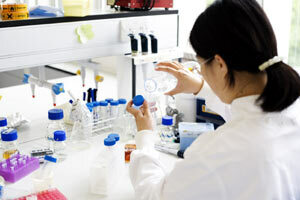 Reference services are an integral part of the laboratory program. The Public Health Laboratory and its branches are under the direction of the Contra Costa County Health Officer and are regulated by the Laboratory Field Services of the California State Department of Health Services. Laboratory tests may be requested by an authorized person, in writing, using laboratory test request form which is provided by the laboratory. Oral or written instructions for appropriate specimen collection and specimen mailing containers will be provided upon request. Records of test requisitions are retained for at least 2 years. Patient specimens must be accurately labeled to assure that accurate test results are reported. Specimens should be submitted to the Public Health Laboratory on patients suspected of having botulism, plague, rabies, typhoid fever, diphtheria, or who have culture positive isolates of Mycobacterium tuberculosis, Salmonella sps. or positive malaria blood films. Contra Costa County participates in national Hospitalized Influenza Surveillance Program (FluSurv-NET) and would like to thank you for your ongoing collaboration and participation. Clinical respiratory specimens submitted to the Public Health Laboratory for PCR testing have enabled the Centers for Disease Control and Prevention (CDC) to monitor the types and subtypes of circulating influenza viruses. In adults, diagnosis is established by the demonstration of the specific toxin in the patient's serum or stool. In infants, diagnosis is established by identification of Clostridium botulinum organisms and/or toxin in the patient's stool specimen. Call 925-370-5775 for specific instructions. Diagnosis is confirmed by culture of the causative agent, Yersinia pestis, from the patient's blood, buboes, spinal fluid or sputum and by a significant rise in antibody titer. The Public Health Laboratory examines and tests various animals at high risk for rabies after contact with humans, domestic animals, and for surveillance purposes. Arrangements for animal testing are made through Animal Control, 925-646-2995 (Martinez), or 510-374-3966 (Pinole), and/or Communicable Disease Control 925-313-6740. A fee is charges to persons requesting an animal for rabies which is not required for Public Health control. A culture of the organism from which the diagnosis of typhoid fever is established must be submitted to the Public Health Laboratory for definitive identification. Following treatment, stool and urine specimens submitted for Public Health release of typhoid cases are to be sent to the Public Health Laboratory for culture and clearance. A culture on which the diagnosis of salmonellosis (other than typhoid fever) has been established must be submitted to the Public Health Laboratory for definitive identification. Following treatment, stool specimens from individuals incertain occupations must be submitted to the Public Health Laboratory for culture and Public Health clearance. Isolation and identification of acid fast bacilli and antibiotic susceptibility tests on Mycobacterium tuberculosis are available at the Public Health Laboratory. A culture on which the diagnosis of tuberculosis has been established must be submitted to the Public Health Laboratory for definitive diagnosis and drug susceptibility testing (if required). The name, address, and date of birth of the person from whom the specimen was obtained, the date the specimen was obtained, and the name, address and telephone number of the health care provider of the patient must be provided (Title 17, California Code of Regulations, Section 1075). Blood films for the detection of malaria parasites may be submitted to the Public Health Laboratory. Blood films on which the diagnosis of malaria has been established must be sent to the Public Health Laboratory for confirmation (Title 17, California Code of Regulations, Section 1075). Food and water specimens suspected of causing illness must be submitted to the Public Health Laboratory through the Communicable Disease Program 925-313-6740 or the Environmental Health Program 925-692-2500. Diagnostic services for syphilis include darkfields, RPR/VDRL and TP-PA confirmatory testing are available. Other diagnostic services include detection of gonorrhea and chlamydia by highly sensitive molecular assays and microscopic detection of genital infections by protozoa, fungi, and Gardnerella vaginalis. Providers may wish to refer patients to Public Health STD clinics in Richmond, Pittsburg, and Concord (see information on STD Program. The Public Health Laboratory can provide, on request, a complete list of routine diagnostic services available to health care providers and associated fees. There are no charges for required tests, reference or referral services and specimens tested to control an outbreak. All other services have cost-charge rates. The Public Health Laboratory has recently added many new and unique testing services including molecular diagnostic tests that utilize polymerase chain reaction (PCR) detection methods. These include Blood Lead Screening (venous blood or capillary blood), Human Immunodeficiency Virus Quantitation, Hepatitis C antibody screening and confirmation, Hepatitis C virus detection, and genotyping, and direct detection of Mycobacterium tuberculosis in sputum. A variety of referral services are available through the Public Health Laboratory. Unique serology and culture tests performed by the State Microbial Diseases Laboratory (MDL), the State Viral and Rickettsial Diseases Laboratory (VRDL), and the Centers for Disease Control (CDC) must be accessed through the local Public Health Laboratory. A complete history should be submitted with the specimen to avoid any delays in testing. When specimens are submitted with complete information, turn around times for MDL/VRDL serology testing is usually two weeks and for CDC four weeks. Turn around time for culture specimens will vary.